Today, Microsoft pushed out the biggest ever change in its email service. With an aim to dethrone Google’s Gmail service from number 1 position, Microsoft has given a sneak peek of its latest lab rat. Highly inspired from the aesthetic look of Metro UI, Microsoft has completely revolutionized its Hotmail service, which sooner will be served as Outlook.com. Google has been ruling web based email service since its arrival back in 2004 and people refused to migrate from Gmail to other lucrative services like Yahoo, Hotmail, AOL etc, due to the sheer amount of features Gmail has to offer. This also includes a number of security features like 2-step verification system which made email hacking almost hacking proof. However, Microsoft is pushing out the new update to change that perception. Hotmail will, sooner or later, eventually be replaced by the minimal looking Outlook.com. 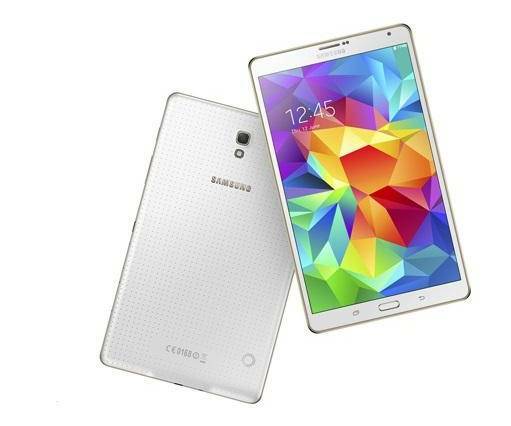 Those can not wait; take a wild ride of the service from the official site. 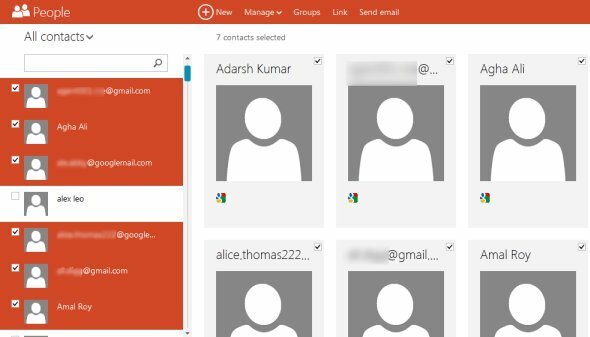 Microsoft has continued its honeymoon with the popular social networking site and they’re snugly tied into Outlook webmail service as well. 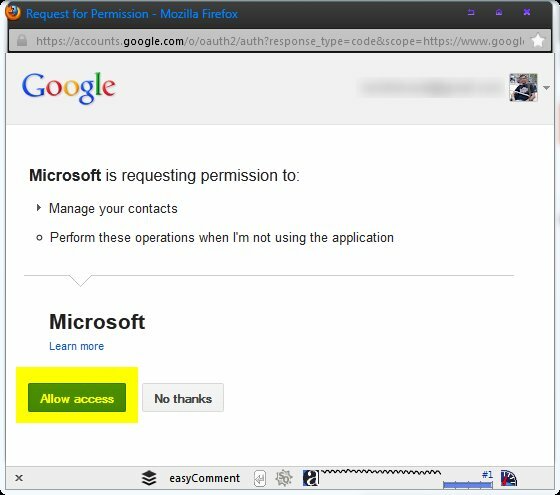 Users of Twitter, Facebook and LinkedIn can import their contacts easily to a new offering from Microsoft. 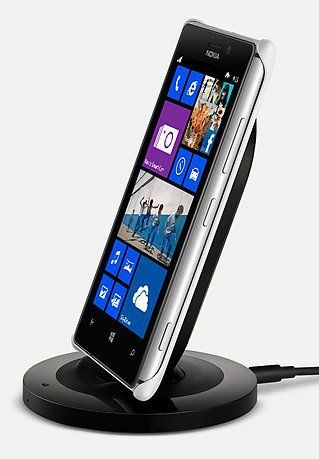 Microsoft has also replicated Calendar, People Hub, SkyDrive and messenger to this service from a Windows Phone platform. 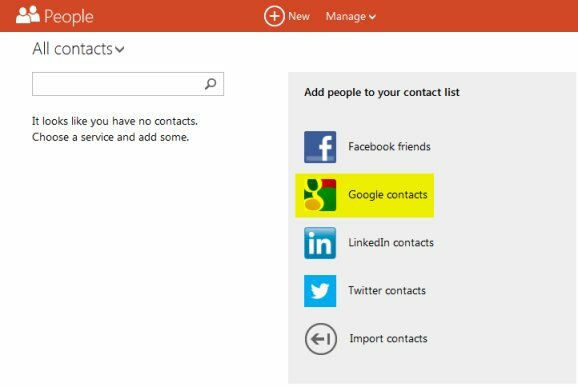 Similarly, if you’re an avid user of Gmail service, then there is an option to import Gmail contacts to Outlook. 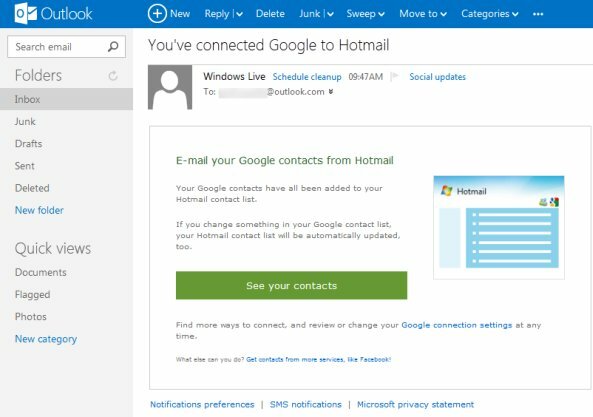 Eventually, at the end of the post, you will learn to import Gmail contacts easily to Outlook webmail service or Outlook.com. Software giant and wannabe mobile baron, Microsoft will also integrate Skype video calling somehow to compete with Google+ hangouts. There is also a complete integration of Facebook contacts along with an option to chat with Facebook contacts. If you’re looking to reserve BRAND email, then you should better hurry up. 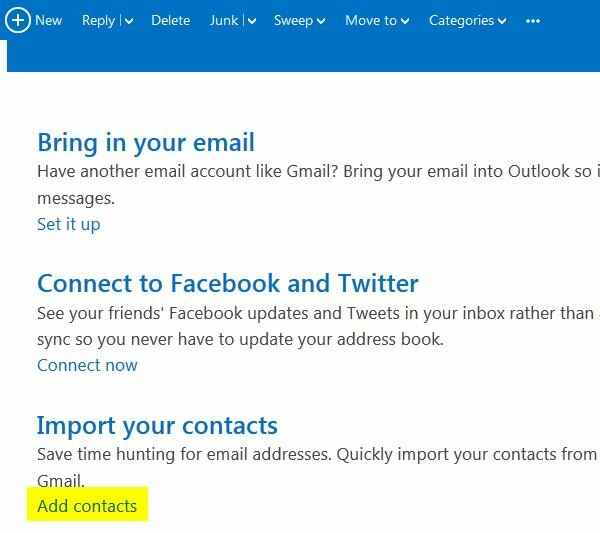 Here is a small but very concise tutorial to import Gmail contacts to the Outlook.com service. 2. Upon successful signup, you will receive a welcome email containing several useful links as depicted in the picture below. Click on Add contacts use “Import your contacts”option. 3. 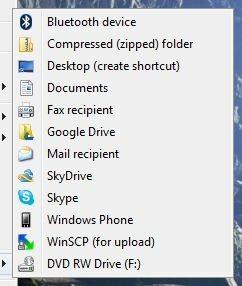 The next windows will show already available contacts on left hand side panel (under All contacts). For fresh account, there won’t be anything below this section. 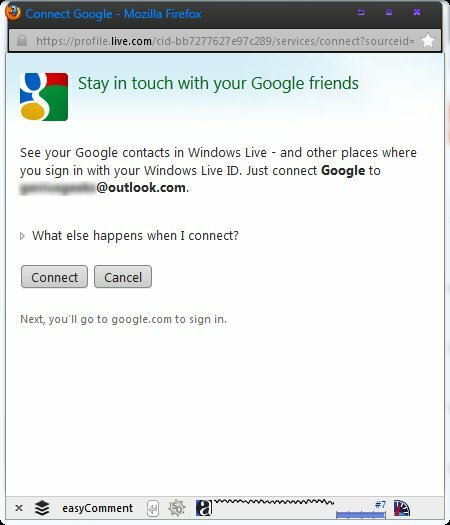 From the right hand panel chose, Google contacts. 5. 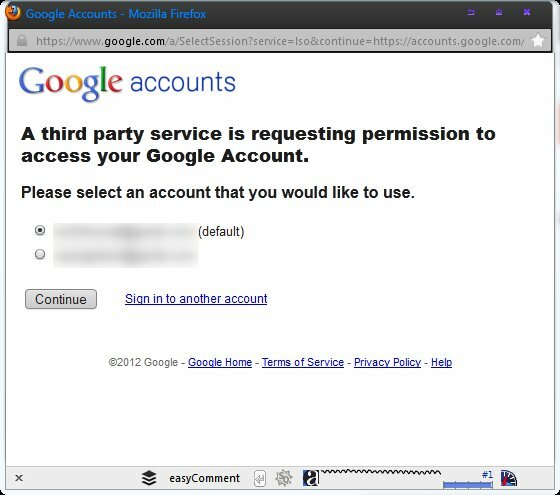 In case, if you’ve used multiple sign-in option in Google, it will show multiple accounts you’ve logged in (see screenshot below). Press continue after deciding the Gmail account you want to import contacts from. 8. As show in the screenshot below, it will display all the Gmail (or Google) contacts on the left hand panel under ‘All contacts’ heading. That’s it!! You will be welcomed with new email confirming the successful migration of Gmail contacts. From here you can select the contact(s) you want to send an invitation or other email. 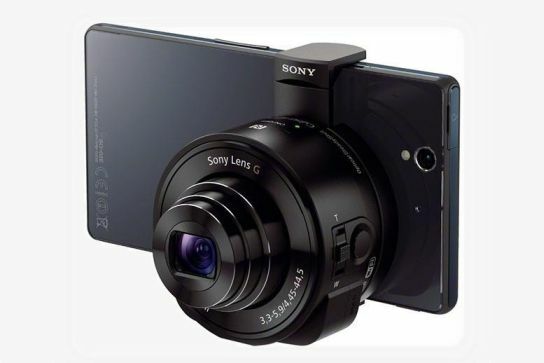 Unfortunately, bulk selection option is not present, so it may be a tiresome process to select all contacts to send email to if you’ve a large collection of contacts. However, there is a quick selection based on alias. 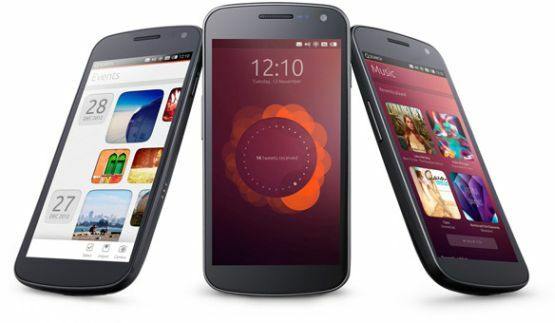 It is very similar to option that of Windows Phone. Just press on alphabet letter and it will pop-up all the contacts starting with that alphabet. See the screenshot below to know what we mean to say. We will discuss more about Outlook.com email features in very near future. The same steps could be applied to import contacts from the likes of Facebook, Twitter and LinkedIn. 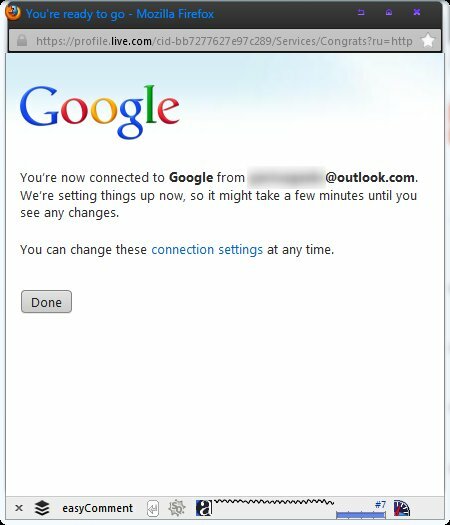 Let us know if you had any trouble in understanding steps to import Gmail contact to Outlook.com service. We would love to help out our readers. In case, if you’ve already started exploring new Outlook, then let us know via the comment section below. The problem is that the contacts are only looked at. 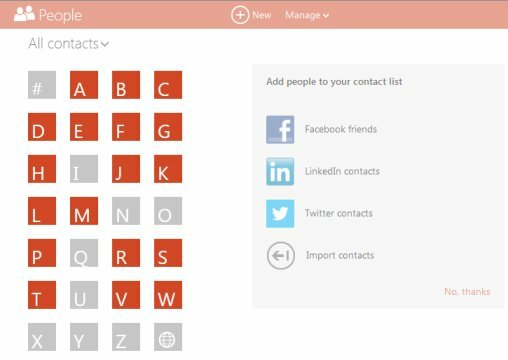 As soon as you set up Outlook 2013 with your outlook.com account, you have 0 contacts in there. Any tips how to get them into the REAL outlook.com EAS account?